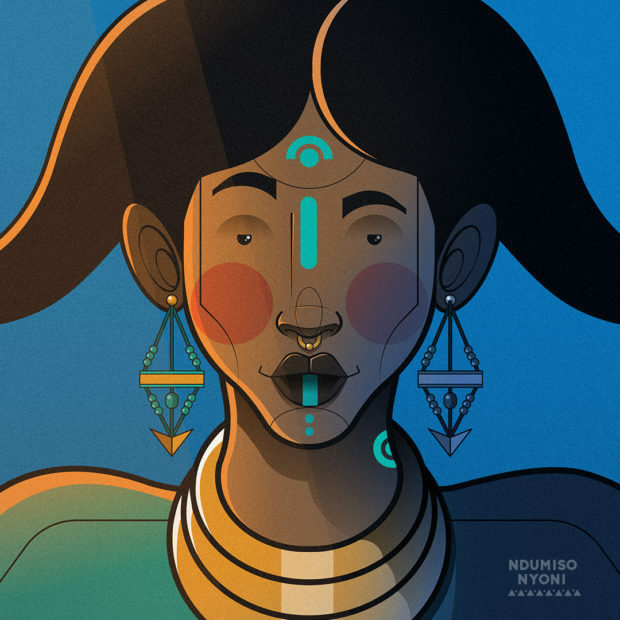 Ndumiso Nyoni is a motion graphic designer and illustrator whose work is a diverse combination of several styles inspired by AFRICAN themes. 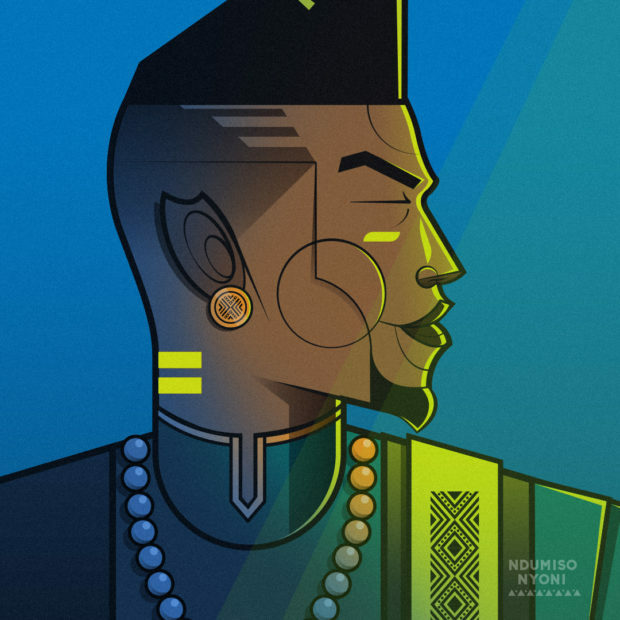 Ndumiso Nyoni is a Zimbabwean illustrator / motion graphic designer. 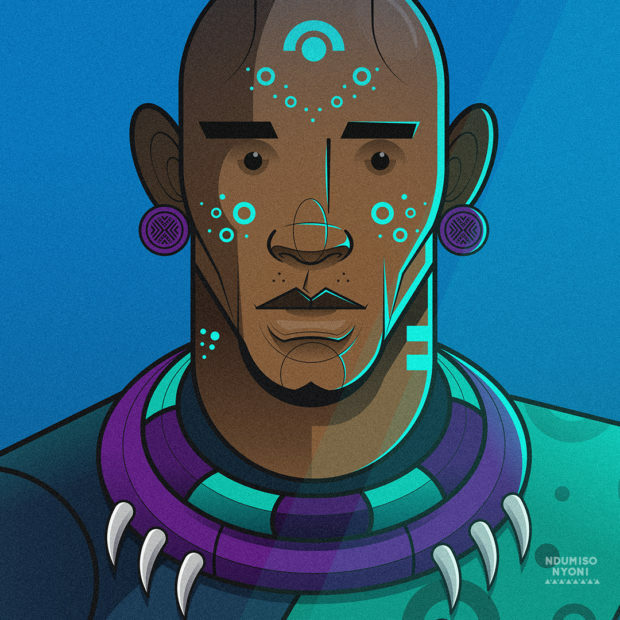 After completing his studies in Multimedia at the University of Johannesburg he started developing his own style of illustration and character designs. “My work is a combination of traditional, African themes fused with contemporary youth culture and trends. I like to juxtapose traditional techniques, mostly pencil sketches with contemporary media in the form of vector illustrations and motion graphics,” he says. Christopher Wellard, Executive Creative Director at Wunderman SA, reached out to tell Ndumiso about an internal project his company was working on. 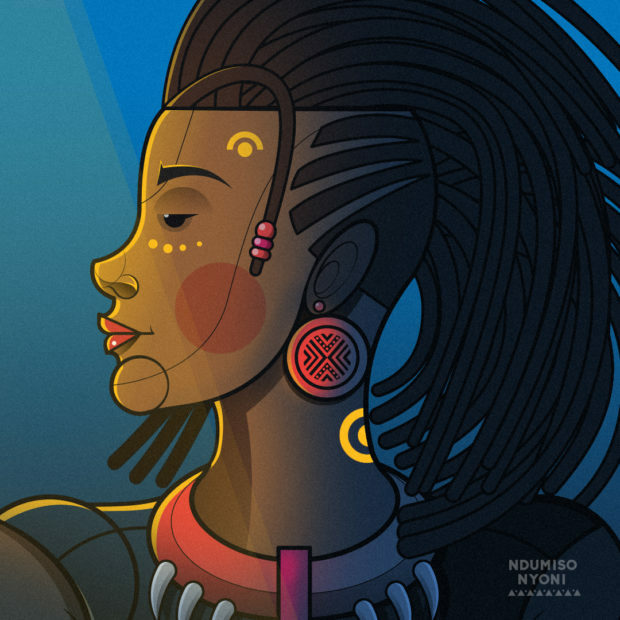 He was very impressed by Ndumiso’s recent work for an international super hero exhibition and felt his illustration style would be perfect for the project. Wunderman SA developed the brief and concept and invited Ndumiso to visually interpret it. The main focus of the project was Africa’s Big Five and at the same time it was inspired by the country’s diversity of people and cultures. Visually, the project was inspired by Afro futurism and the Afro Punk movement. “A lot of my work is inspired by Bahaus and other forms of modernist design. 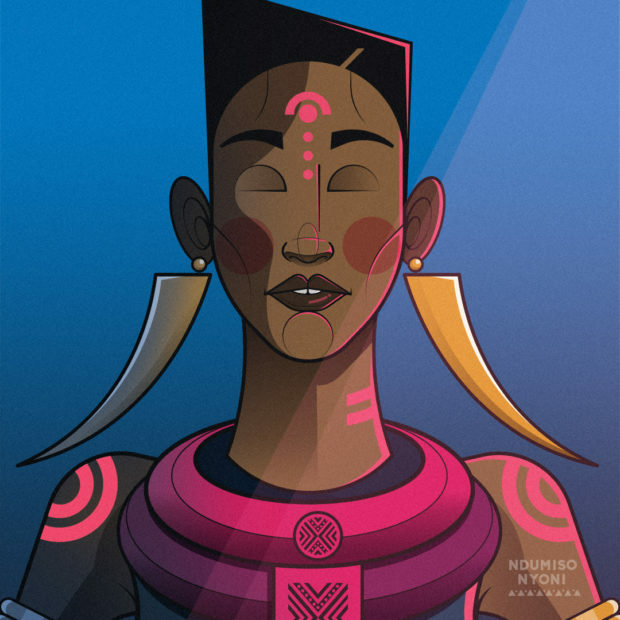 I love crisp geometric shapes and vibrant colours and I try to bring that into all my projects,” Ndumiso says.